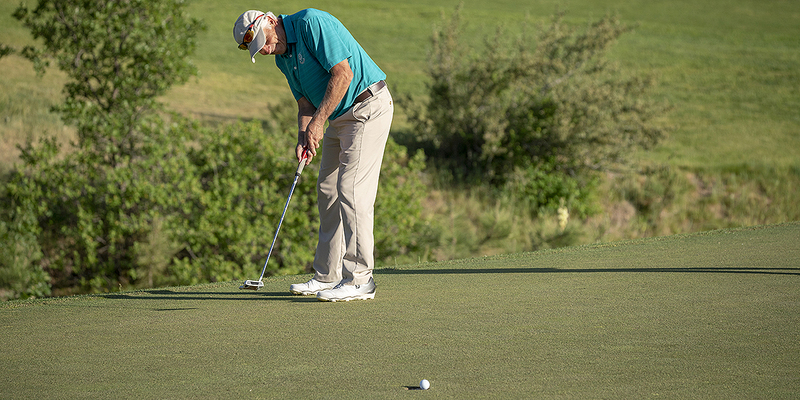 Nothing makes or breaks a potentially great round of golf like your putting. Of course, you already know that. 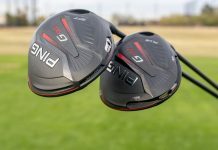 And unless your name is Jason Day, the PGA Tour’s 2018 leader in Strokes Gained: Putting who has mastered the putting ability trifecta (green reading, speed control and starting direction) as well as anyone, you probably also know there’s plenty of room to improve and start making your rounds on the greens instead of breaking them. 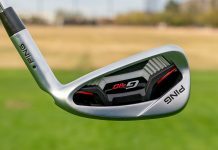 But it’s often hard to know where to start in becoming a better wielder of the flatstick, so we’re here to help. 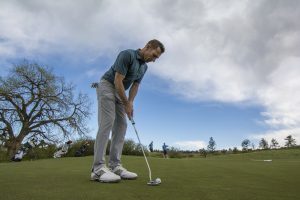 Because of the three base skills of putting mentioned above, one proves more difficult to master than the rest: starting putts on your intended line. Just like in the full swing, the direction of a putt is influenced by where the club face is aimed and the path it’s traveling on at impact. 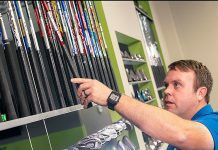 An “out-to-in” putting stroke path – something commonly seen with students at GOLFTEC – wreaks havoc on your putts just like an out-to-in swing path creates a slice with any other club in your bag. 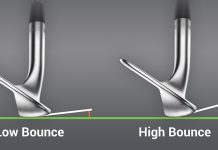 If you’re one who just can’t seem to ever hit your putts on line, there’s a decent chance you fall into this category. 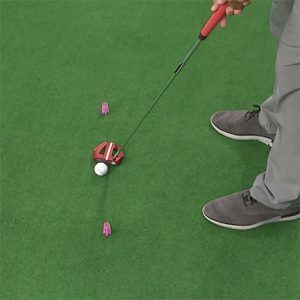 Some techniques in golf are difficult to correct, but improving your putting stroke path typically isn’t one of them. 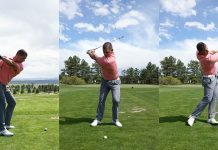 To correct an out-to-in path, it’s as simple as practicing a slightly in-to-out path! 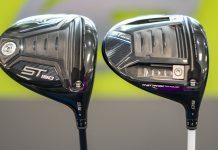 In the video below, Brad Skupaka sets up a drill for you to try at home to improve this part of your game, and it only requires two tees, a golf ball and your putter. 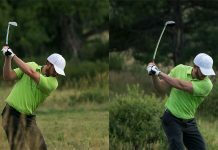 Start by slightly staggering the tees, like the image here demonstrates. 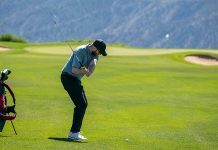 The goal is to take your putter back on the inside of the back tee and then, on the follow-through, swing your putter to the outside of the front tee. 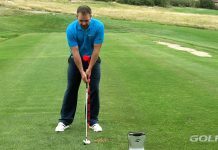 With a bit of practice, this drill will help engrain a straighter, more predictable path to your putting stroke. And once you’re starting more putts on line, just maybe you’ll be prepared to give Jason Day a run for his money on the greens!